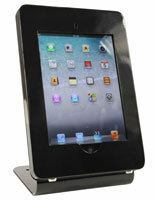 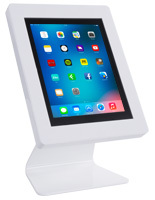 These secure countertop iPad stands are often used on retail sales counters because of their safekeeping features. 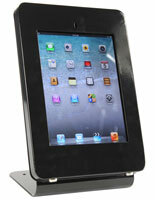 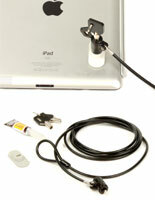 Each fixture is equipped with two locks on the bottom of the frame for safely holding tablets. 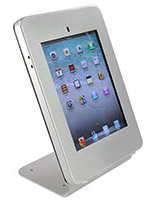 A durable combination of steel base and aluminum case ensures potential thieves cannot simply break into the countertop iPad stands' case. 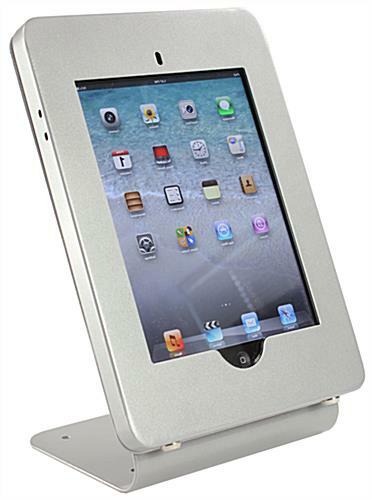 The tablet holders show the home button, allowing any user to navigate to other apps. 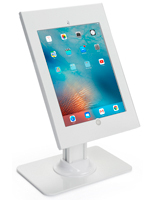 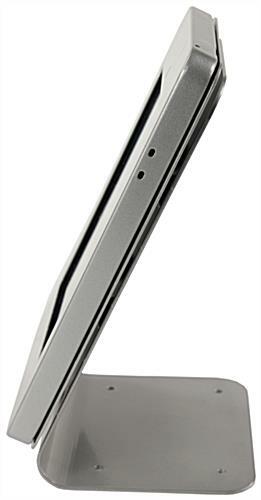 In addition, the iPad stand features a 25° tilt that makes it easier to use when placed on a tabletop. 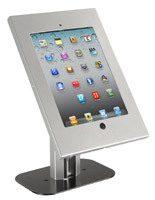 The kiosks' pre-drilled holes make mounting a breeze with (4) screws (not included).